Go au naturel with these leaf-shaped earrings! 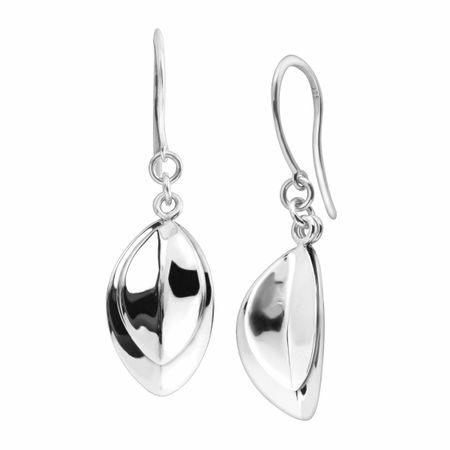 Crafted in sleek sterling silver, two leaves move freely atop one another for eye-catching detail. Earrings measure 1 5/8 by 1/2 inches and feature French wire back findings.